A sort of poem for Grapeling’s prompt on With Real Toads to “get listed.” In this prompt, Grapeling asks us to use homonym-type words or words that have different meanings. I hate to direct interpretations of a poem but I’m including the word father as one of these, as I feel like the poem is directed more to my personal father than a grander one, but not sure that meaning comes across. The above photo is not really synced to the poem, but was taken recently at my house in upstate New York. This is a second story room, ice on the windows–you can see a speck of tree at the top. This entry was posted on February 20, 2015 at 8:56 am and is filed under poetry. You can subscribe via RSS 2.0 feed to this post's comments. I really like the last four lines. And I knew where you were going with this before you explained it in the second half of the poem. I mentally inserted a hyphen immediately when I read the line, “I miss you and re-miss you.” Losing parents is one of the most ongoing pains one can ever know. It’s a pain, I think, that must increase in intensity as time goes on. I don’t imagine one can heal from such a loss, but only force herself to go on. What other choice is there? Yes–maybe there should be a hyphen. But will leave as is for now. Thanks. k.
Oops. I mean I wasn’t suggesting you add a hyphen. Thanks–no worries. I was just thinking that it may make sense. K.
Love this! Father / your father either way it works. that first line instantly made me wonder.. “if heaven is as hallowed as they say” are such powerful words. There is a touch of insight in your verse which lies in the shadow of a silent prayer. This does read like a private prayer or conversation with one who has passed away – but the very universal nature of such thought and intention makes this poem ever-relevant to adult children who have lost a parent. A great simplicity to this k, which helps add to the mystery of where our love, time and even money go which we spend so constantly–and yes, the sense of loss and of the missing, remissing and remitting, comes through most beautifully I think. The shortness of this poem make it all the stronger. Who will ever tell which paths that loss will leas us? 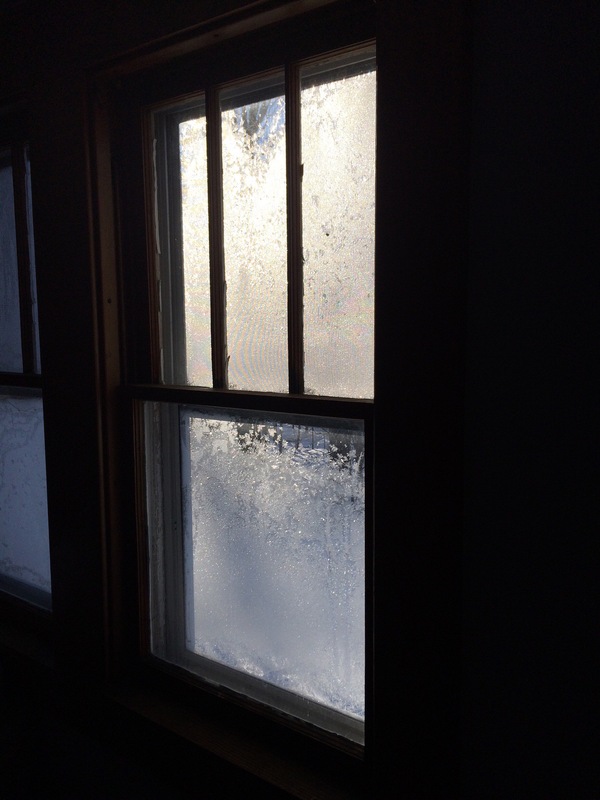 I read the poem as the prayer like the ice on that window — so close but infinitely far — asking for a father’s blessing to stop missing a father so, because such grief is too extravagant. Yes. father with a lower case (I got it wasn’t God) – and the sentiment and plea are very moving. It did come across. The fact that your poem was directed at a more personal father. Lovely rhythm. It actually reads like a hymn, although that might have to do more with my way of reading poetry. Thanks.